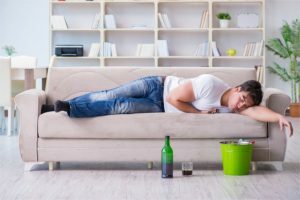 Acute intoxication with alcoholic beverages is more common than most people realize. Sometimes the stress of life is so overwhelming that an individual cannot stop after a drink or two. Yet, binge drinking is not the solution to any problem. 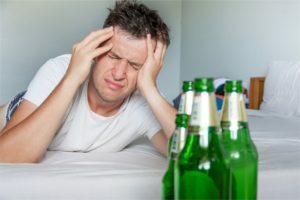 Alcohol intoxication can be life-threatening without urgent treatment. For this reason, it is important to be aware of the dangers of abuse, the signs of alcohol poisoning, and what to do for alcohol poisoning. What is the definition of alcohol poisoning? Alcoholic beverages are legal in the majority of countries around the world. Yet, alcoholic drinks are one of the most addictive substances available to human beings. Why are they so popular? Because they make the user feel euphoric. They lower inhibitions and makes a person more relaxed and talkative. Many people drink alcoholic beverages to self-medicate or deal with social anxiety and other life stressors. At high doses, alcoholic drinks are potent depressants of the central nervous system. The effects of heavy drinking are severe, including alarming withdrawal symptoms. A person can become intoxicated by consuming a large amount of alcohol in a short period of time. But, there is no minimum number of drinks that can cause alcohol poisoning. A person drinks a large number of alcoholic beverages within a short time. The liver is unable to metabolize the chemicals and flush them out of the body. Unmetabolized alcohol enters the bloodstream. The person’s blood alcohol concentration (BAC) begins to rise. The BAC reaches toxic levels, adversely affecting the person’s physiological and mental functions. Alcohol intoxication is a potentially life-threatening condition. Suspected alcohol poisoning requires immediate medical attention. It is unacceptable to wait for all the symptoms to manifest or to try a home remedy as an alcohol poisoning cure. Remove all drinks and prevent the person from ingesting more alcoholic beverages while you wait for medical help to arrive. The figures are sobering. There are more than 88,000 alcohol-related deaths in the United States every year. Of these, poisoning or overdosing is responsible for 22,000 lives. In 30 percent of these cases, addiction or alcoholism is the trigger. Can you die from alcohol poisoning? Yes, the health problems caused by acute poisoning can eventually prove fatal. The tragic truth behind the abuse of alcoholic beverages is that it leads to accidents, crime, and ruined families. Choking: Alcoholic drinks irritate the stomach and cause vomiting. An unconscious person can potentially choke on their own vomit. Cessation of breathing: Ingestion of vomit into the lungs can cause a person to stop breathing altogether. Dehydration: Vomiting can quickly lead to severe dehydration which, in turn, leads to decreased blood pressure and a fast heart rate. Cardiac arrest: A low body temperature coupled with a decrease in blood pressure can lead to cardiac arrest. Hypoglycemia: Vomiting can cause blood sugar levels to drop to dangerously low levels. This condition is called hypoglycemia. If glucose is not administered promptly, the person can slip into a coma. Eventually, it can result in alcohol poisoning death. Brain damage: Irregular breathing, cardiac arrest, and hypoglycemia can cause irreversible brain damage. The first thing to do, of course, is to obtain medical help. Call 911 if someone is suspected to have severe acute intoxication from alcoholic beverages. What to do until the paramedics arrive? Certain actions can backfire and aggravate existing symptoms or trigger new complications. There are some popular misconceptions regarding what to do with alcohol poisoning. Do not make the person walk around. A person who has drunk too many alcoholic beverages has poor control of motor functions. There could be a loss of balance, falls, and injuries. Do not make the person lie down. If the intoxicated person is awake, do not make them lie down. If vomiting occurs in a supine position, the person can potentially choke. Do not give the person coffee to drink. Coffee exacerbates dehydration. Severe dehydration can lead to permanent brain damage. Do not give the person a cold shower. Alcoholic drinks lower body temperature. A cold shower can quickly induce life-threatening hypothermia. Do not induce vomiting. An excessive number of alcoholic beverages in the body depress the gag reflex. If vomiting is induced, it can lead to choking. Do not give more alcohol. This can increase the BAC to dangerous levels. Do not leave the person alone. As more alcohol from the stomach and intestine is absorbed into the bloodstream, the BAC rises. This happens even if the person has stopped drinking. It is important to remain vigilant because new symptoms can show up or existing ones can worsen. If the person is unconscious, put them in the recovery position by gently turning the head to one side to prevent choking. If the person is awake, make them sit upright to prevent choking if vomiting occurs. Try to prevent loss of consciousness. Keep the person awake by talking to them. Keep the person warm. Make sure the body temperature does not fall further. Give the person some water if swallowing is possible. Water helps fight dehydration and aids the body in flushing out toxins. Ensure that the person is sitting up when they drink water to prevent choking. Stay with the person until medical help arrives. Keep an eye on the intoxicated person to prevent injury. Intubation: A tube is inserted into the windpipe through the mouth to remove blockages from the airway and help with breathing. Intravenous administration of fluids: Water, glucose, and vitamins are given directly into the bloodstream to keep vital signs stable and to provide nutrition. Catheterization: A thin tube called a catheter is inserted into the bladder to drain the urine into an attached bag. Stomach pumping: The stomach is pumped out by passing fluids through a tube fitted to the nose or mouth. Dialysis: In some cases, kidney dialysis is carried out to speed up the removal of toxins from the body. Close monitoring: Mild alcohol poisoning symptoms are monitored in a medical setting. Oxygen therapy: Oxygen is administered through either a nasal tube or face mask to ensure the patient does not stop breathing. Vitamins and glucose: To increase blood pressure and prevent seizures. Keep track of consumption. Remember not all drinks contain the same amount of alcohol. Pace yourself with one drink per hour, allowing your body time to process the alcoholic beverages. Drink a full glass of water after every one or two drinks. This helps combat dehydration. Stay away from drinking games. It is difficult to monitor the number of alcoholic drinks consumed in this setting. Never drink on an empty stomach. Also, make sure to eat healthy while you are drinking. Snacking is a good way to pace the drinks. Never mix drinks with prescription medications or recreational drugs. 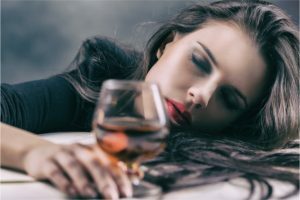 It sometimes takes an addiction self-assessment for a person who has been drinking for a while to realize there is a problem. It does not take too many drinks to make the BAC shoot up to a toxic level. Which is why, if you or a loved one has a tendency to binge drink, it is necessary to be aware of alcohol poisoning symptoms. If you or someone you love has questions concerning alcohol poisoning, call our free helpline (888)-459-5511 for more information. Trained advisors are available to answer your questions, provide you with information about acute intoxication, and, ultimately, guide you towards avoiding the dangers of alcohol intoxication. Calls are always confidential, private, and secure.